FMCG suppliers and retailers should be hoping for a successful World Cup tournament for England if they want to experience a consequent retail bounce, according to category and shopper management specialist Bridgethorne. Traditionally major sporting events like the World Cup can represent a business bonanza for the UK retail sector with football fans splashing out on everything from pizzas to cases of beer as they follow their team’s progress. However, figures from Neilsen after the last World Cup in Brazil suggested that England’s failure to advance beyond the Group Stage contributed to consumers spending 0.6% less money at the UK’s leading supermarkets than in the same period the year before and buying 1.8% less by volume. Although there was a 12% sales growth in Beers, Lagers and Ciders during the four-week period that covered the opening nine days of the 2014 Tournament, it was still insufficient to drive purchasing in other categories or to help lift overall supermarket sales. 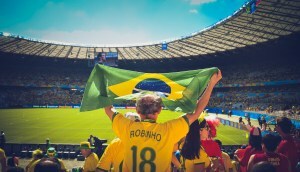 However, whilst the performance of the national team isn’t within the scope of influence of FMCG suppliers and retailers, Bridgethorne says they need to ensure that marketing activity is optimised by focusing on the shopper – the person who actually makes the purchasing decision – and not just the consumer. “With the countdown to the start of the tournament underway, suppliers need to have considered what they can do to leverage interest and excitement about the football to stimulate purchasing activity,” explains John Nevens, Joint Managing Director, Bridgethorne. Nevens goes on to say that although vast sums of money continue to be invested to drive brand awareness, increase sales and competitive advantage, this investment is being risked every day because suppliers fail to recognise that their consumers and shoppers behave differently.